Please see attached color options sheet, and note in your order the color you want. 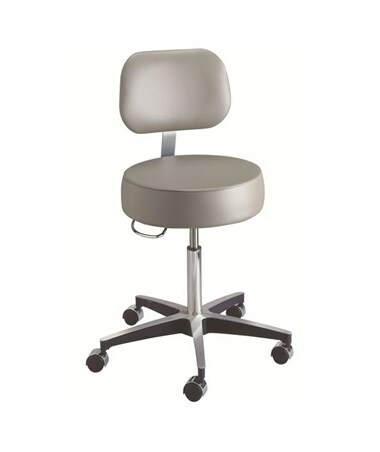 The Brewer Century Adjustable Exam Stool is the healthcare industry's most demanded adjustable stool. Century Medical Stools feature a contemporary design, stylish comfort and select options to meet the needs of any healthcare environment. 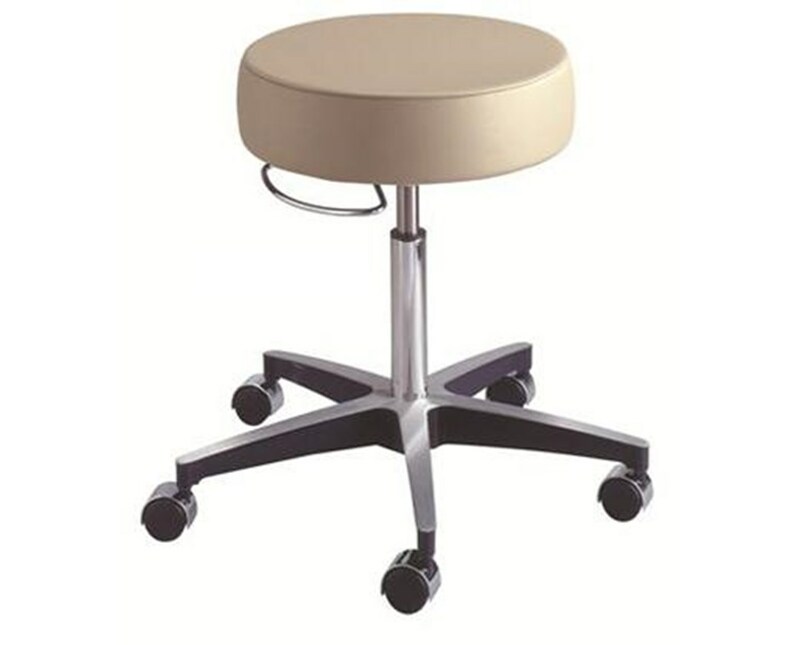 Preferred by medical facilities throughout the world, this adjustable exam stool series is the cornerstone of the Brewer medical seating product line. The Brewer Century Series Stool offers pneumatic height adjustments and a weight capacity of 250 lbs. It features a round 16" wide, 4" thick poly-foam seat cushion with a black accent base and chrome hooded casters or glides. All Brewer products conform to US and Canadian electrical and medical industry codes and regulations, and come with a 5-year warranty. 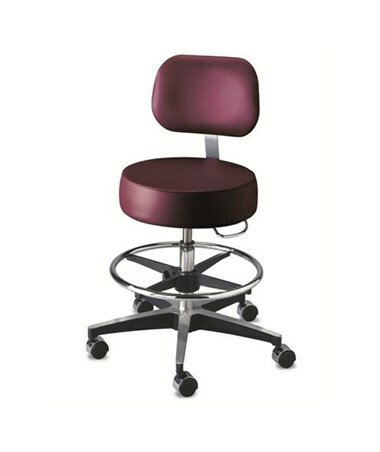 A variety of options allow you to customize the Century Exam Stool to meet all your comfort and versatility concerns. The stool's height adjustment range is 18" - 24". The optional contoured backrest and seamless upholstery is a matter of both comfort and style. *This model does not include the footring and swing arm options. Please see additional products for more options. 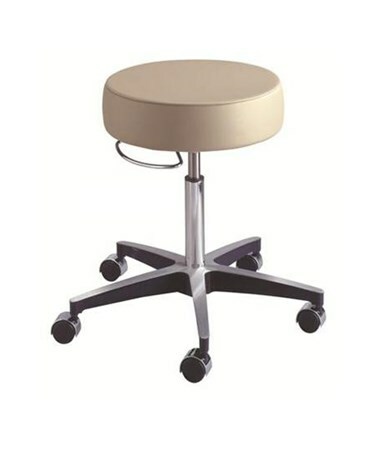 Brewer's Century Exam Stool is available with a backrest and seamless upholstery option. The upholstery comes in a wide range of colors - view the color chart and note in your order the color you would like. Select from the other options available in the drop down menus above and order online direct by clicking "add to cart!" 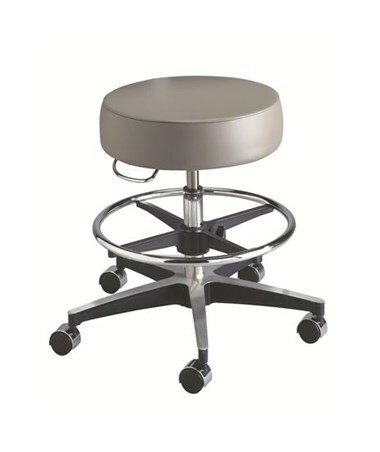 Height Range 18" - 24"
The Century Exam Stool is covered by a 5 year warranty.